The 2007–2008 financial crisis had its genesis in the United States housing markets, but it rapidly spread to other economies, first to the United Kingdom, but then almost everywhere else, including such unlikely spots as Iceland whose banking system collapsed. Because events in the United States triggered the crisis, this essay will concentrate on the US causes although they had their many counterparts elsewhere. For almost 100 years, the US government has not felt constrained to match its expenditure with its revenue. This policy was given intellectual justification by the writings of John Maynard Keynes who argued in the 1930s that, during periods of slow economic growth, active and purposeful government policies would allow the economy to spend its way out of recession. It was simply a matter of time before citizens aped the financial habits of their governments by living beyond their means. The Federal Reserve System (the Fed — created in 1913) has accommodated government's policy of spending to excess by inflating the money supply and keeping interest rates artificially low. Today's dollar will buy what in 1913 would cost less than a nickel. This easy-money policy has not only led to inflation but has resulted in investments taking place that would not be justified had the money supply been constrained, and had interest rates more clearly reflected economic reality. Since the 1960s, politicians parroting the suspect theories of Keynes have fed the public's naïve belief that government can provide ever-increasing living standards by means of its monetary and fiscal policies. Pulling a fiscal lever here and pushing a monetary button there meant that constraints on spending were old fashioned, and living standards would forever improve. The limitations imposed by the laws of economics had been repealed if you voted for politicians who promised to provide you with something for nothing. Fiscal prudence was simply a capitalist lie. It is against this long term, more philosophic backdrop, that the following, more immediate issues, assumed greater importance. Households collectively made little attempt to save for the future. The United States, in particular, borrowed from China, Japan, and Middle Eastern countries to finance its spending addictions. Financial responsibility was considered an old-fashioned, or even an irrelevant, virtue, and people were led to believe that government could, by waving its magic wand, provide improved housing without the pain of saving or foregoing immediate consumption. The acquisition of a house was viewed by many buyers not so much as having somewhere to live but as a painless way to make money. House prices, they naively believed, would always continue to increase in value while the relative burden of mortgages would continue to fall. Not only that, but as house values increased, a house could be used as collateral for a further loan. The financial equivalent of turning sea water into gold had been created. So long as house prices increased, borrowers were in financial heaven. When house prices fell, the earth opened up under the feet of lenders. Government-sponsored entities like Fannie Mae and Freddie Mac subsidized mortgages for people who, under more-prudent rules of borrowing, would never have qualified for a loan from a conservative banking institution. Congressman Barney Frank in 2003 stated in a moment of candor, "I want to roll the dice a little bit more in this situation toward subsidized housing." Well he certainly did, at the same time accepting with gratitude campaign contributions from Fannie and Freddie. The egalitarian policies of government through such legislation as the Community Reinvestment Act of 1977 "persuaded" lenders, Mafioso style, to lend to low-income borrowers, against their better judgment. Government lawyers made it clear that the consequences of failing to meet politically imposed targets and quotas could be dire. It was a matter of time before a substantial minority of borrowers could not or would not service their mortgages. Partly because astute people predicted this, well-known names in the financial world began to package, or sponsor, mortgage and other debts such as credit-card balances into what were called structured-investment vehicles (SIV), dubbed "financial weapons of mass destruction" by Warren Buffett. So complicated were the terms contained in such instruments that many legal minds and the credit-rating agencies were baffled as to exactly what they meant and where the ultimate risk lay. Banks and others could benefit by lending to people who could not afford to pay interest, far less capital, provided they were able to sell the SIVs to gullible investors. Money managers naively bought such investments for pension funds, money market funds, and (even more surprisingly) for their firms' own accounts. This was the primrose path to unlimited housing ownership, with no painful cash deposit, and no adverse consequences to the first lenders. So long as (a) the value of housing increased, (b) borrowers paid on time, and (c) confidence remained in the credibility of SIVs, everything was hunky-dory. Unfortunately, all three cratered about the same time; house values stagnated or fell as supply exceeded demand; when values stuttered, so did borrowers repayments, and confidence plunged. Borrowers, having promised to pay and having offered security for their promises, were failing to pay because their security had declined in value. They repudiated their debts, and the burden fell on hapless financial institutions. Populist politicians rarely blamed the borrowers, because there are so many of them and they vote; instead they blamed greedy capitalists, speculators, short sellers, anyone except the debtors, and the imprudent economic policies of the US government. As events began to unravel in mid-2008, well-established firms like Lehman Brothers, went to the wall. Others like Bear Stearns and Merrill Lynch were sold at knockdown prices. Yet others, like insurance giant AIG, were effectively nationalized. Meanwhile, the stock-market value of banks and other financial institutions took a nosedive. For example, Citibank stock price fell by 79% between October 2008 and October 2009. The broader stock-market indices like the Dow Jones also plummeted by around 40%. The US government had no systematic policy, and rules were made up as more and more bad news emerged, especially about jobs. Citibank had a labor force of 375,000 in 2007; in November 2008, it was announced that 53,000 jobs would go by the first quarter of 2009. Senior government officials were like shipwrecked sailors (and were spending money like drunken sailors) paddling like mad but with little idea of where they were going, or why. The only consistent rule was that something had to be done, and the US government must be the action party. It is difficult not to recall the words of Herbert Spencer: "The ultimate result of shielding man from the effects of folly is to people the world with fools." The financial crisis of 2007–2008 was a Ponzi scheme writ large. A Ponzi scheme, or chain letter, initially succeeds but eventually collapses, just as imprudent loans may at first succeed in their objectives but eventually the laws of economics come into play and expose the futility of the whole exercise. A pyramid scheme is always unsustainable for the simple reason that it is based on faulty principles and built on flawed foundations. Until too late, no one in authority (regulators, risk managers, senior bank executives, credit-rating agencies, investment analysts) asked the key question, namely, how on earth was it possible in the long term to make profits by lending money to people whose chances of paying it back were practically nil? The issue was simply swept under the carpet because loans to deadbeats provided a better short-term return than did lower-risk debt instruments. In summary, the essence of the subprime crisis is that money was lent (often through the agency of questionable mortgage brokers) at very low interest rates (courtesy of the Fed) to hundreds of thousands of people (all they needed was a credit score and a pulse) who could not afford to pay it back; and it was backed by collateral (a house) that was not properly valued. Such assets, accurately described as "liar loans," were then packaged into opaque securities, known as structured-investment vehicles (sponsored but not guaranteed by a respected and well-known name), which very few people understood. They were sold on to pension funds, banks, and others whose gullible investment managers also did not understand them and failed to carry out the rigorous analysis that their clients had a right to expect. Government encouraged all of this by supporting affordable housing (which was politically correct) and accusing banks of redlining (failing to lend to poor and black people in the same proportion as they lent to the rich and white). When the borrower, already maxed out on his credit cards, predictably failed to make payments, the scale of the problems eventually became apparent to somnolent regulators and financial institutions. Confidence and trust evaporated, because no one knew which institutions held suspect securities, how much the losses were, and who was ultimately safe. A financial system built on debt and excessive leverage was a financial system built on sand. The art of economics consists in looking not merely at the immediate but at the long effects of any act or policy; it consists in tracing the consequences of that policy not merely for one group but for all groups. Bob Stewart has lived in Bermuda all of his adult life, and was chief executive of the Royal/Dutch Shell Group of Companies in Bermuda until his retirement in 1998. Subsequently, he was President of Old Mutual Asset Managers, Bermuda, and retired from there at the end of 2002. He is a director of several Bermuda companies and investment funds, and the author of A Guide to the Economy of Bermuda. He wrote this essay to help explain the issues of the subprime crisis to the boards of the various companies he sits on. His email is rstewart@ibl.bm. Comment on the blog. See, for example, an excellent analysis by Alex Brummer the city editor of the Daily Mail in his book The Crunch: The Scandal of Northern Rock and the Escalating Credit Crisis. 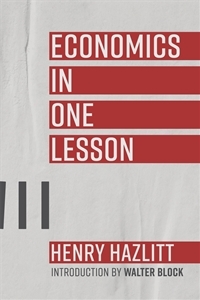 See Keynes, General Theory of Employment, Interest, and Money, and also The Critics of Keynesian Economics edited by Henry Hazlitt. Quoted in the European Wall Street Journal, November 6, 2008, page 15. Credit-default swaps proved to be too complex for risk managers at AIG whose computer models were not up to the task. See the European Wall Street Journal of November 3, 2008, page 1. Government action was centered around the Troubled Asset Relief Program (TARP), a boondoggle of gigantic proportions. How successful this will prove to be is beyond the scope of this article. See an excellent article by David Carr in the International Herald Tribune on September 30, 2008, page 17, entitled "How a Stupid Question Clarified Subprime Mess." Sometimes a pulse was not even necessary as 23 dead people in Ohio were approved for loans. Ibid. Was this a "Black Swan" event — see book of the same title by Nassim Taleb.